Last night was our second and last night at Dan’s house. 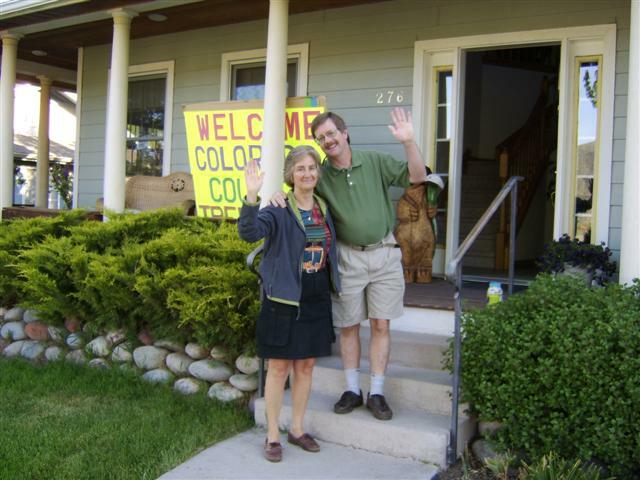 Thanks, Mary and Pete, for having us! …why is that mayonnaise on the front porch? 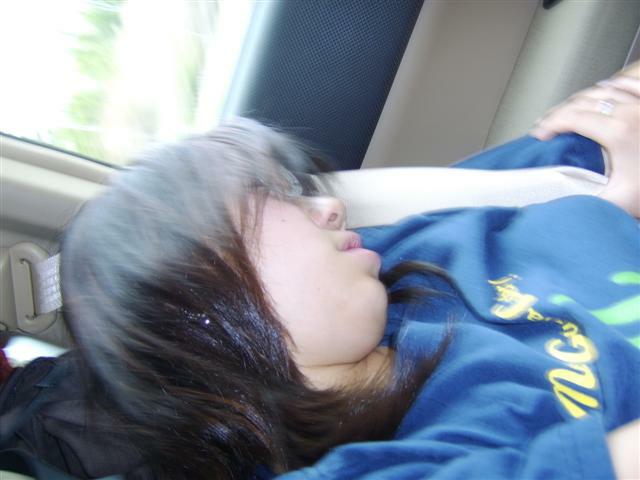 We got up early this morning, so we did a lot of this in the car today. Note: Kristina does not like this photograph. 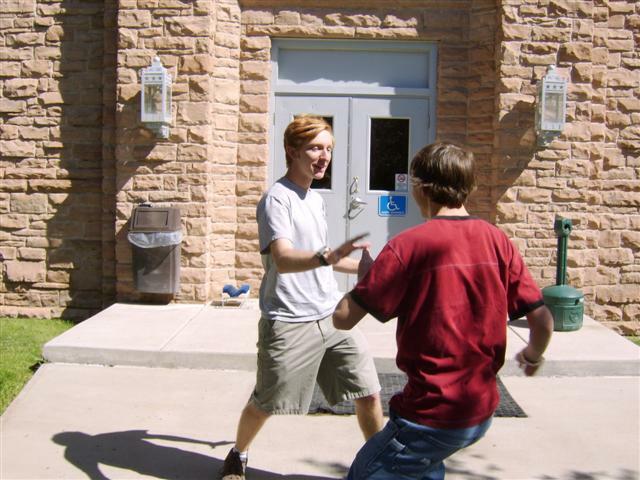 Another shoulder-touch fight action shot. 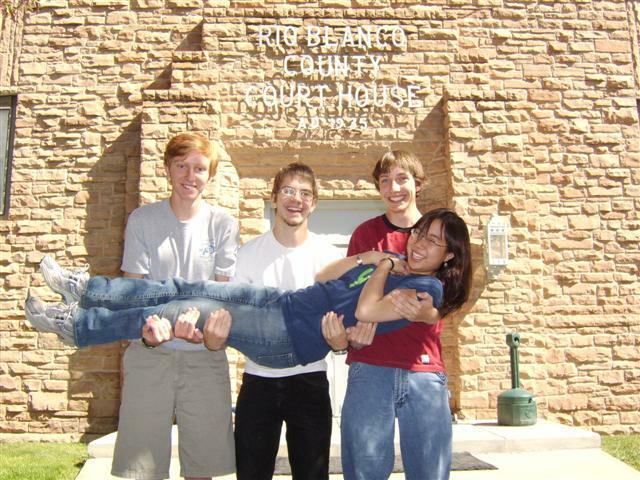 I just can’t look at the expression on Ryan’s face without laughing aloud. 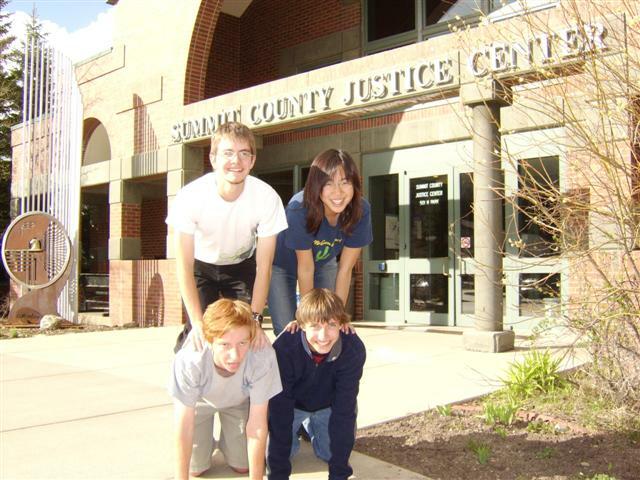 This is another one of those photos where I’m not sure what’s going on. I think Nick is getting trampled by some iron sheep, and we’re encouraging them. 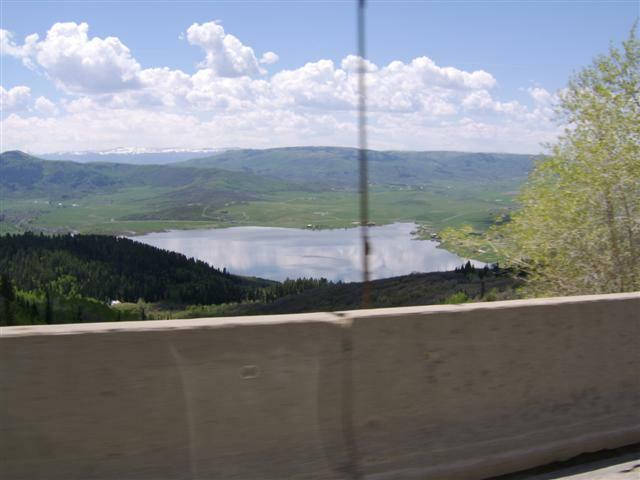 Another nice day of driving in the mountains: This is the view from Rabbit Ears Pass in Northeastern Colorado. High altitude! 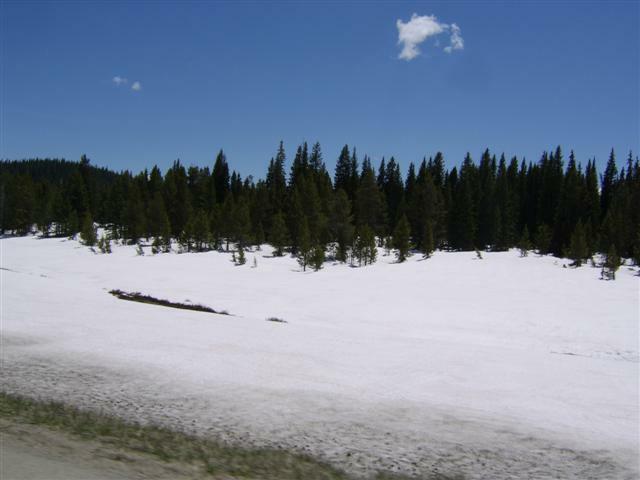 There’s still more than enough snow for a snowball fight on Rabbit Ears Pass. 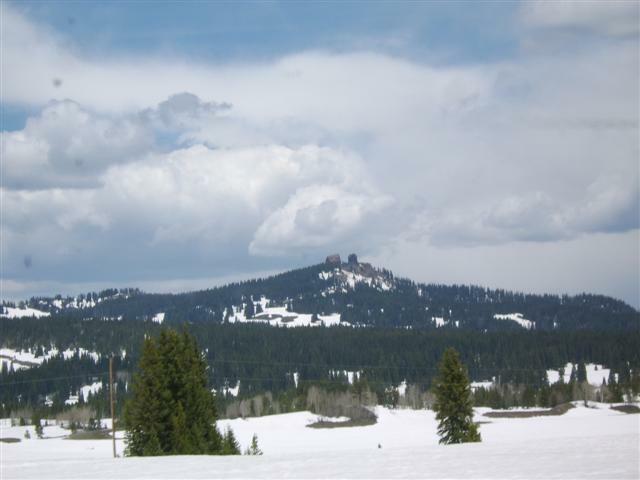 These two rocks, which apparently look like a rabbit’s ears, are the namesake of Rabbit Ears Pass. I think they look like two square rocks next to each other, but I suppose that name isn’t as catchy. 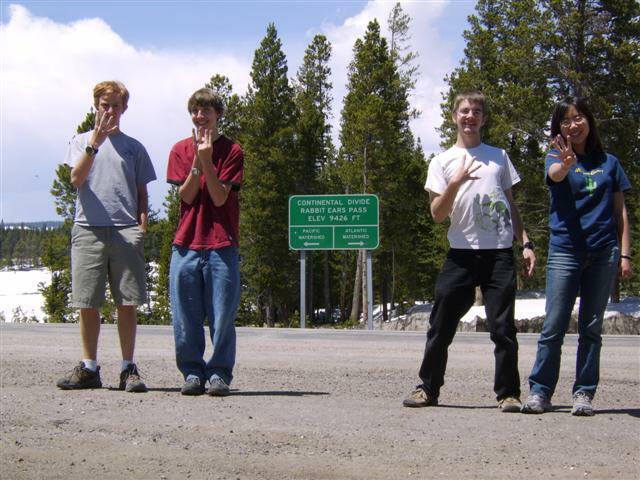 At the top of Rabbit Ears Pass, we all piled out of the car. 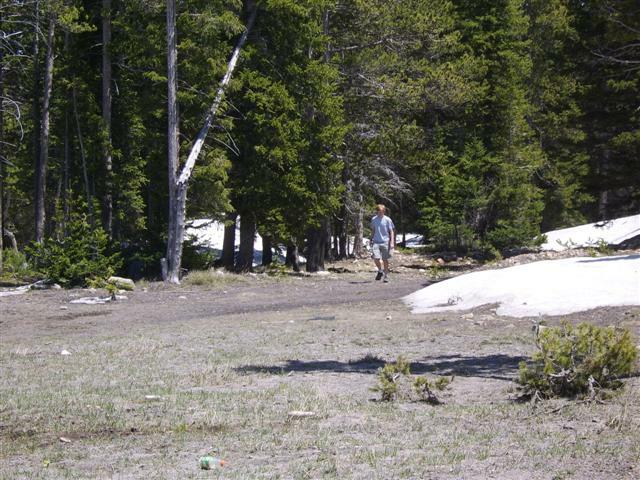 Ryan ran off into this forest, and we wondered if he was making some sort of attempt to commune with the woods. He eventually returned though: he’d received a call from nature of a different sort. 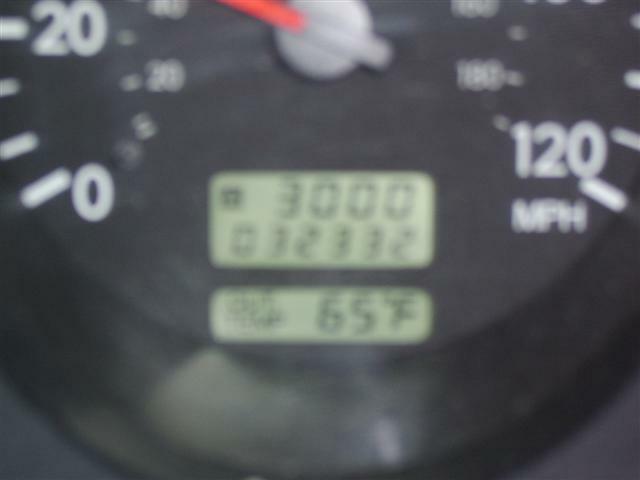 We hit 3000 miles on our trip odometer today! 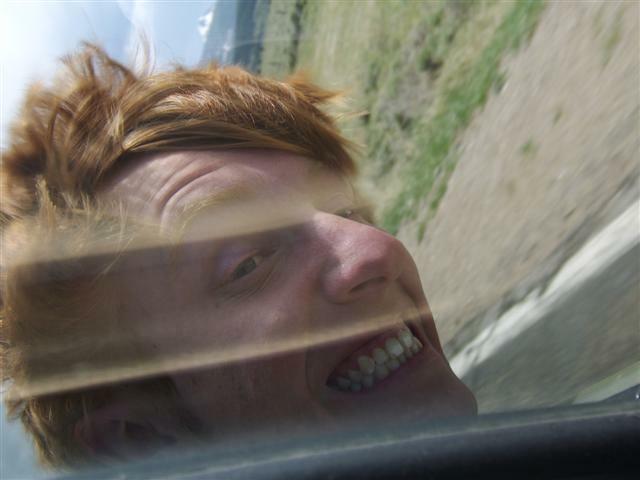 One of many, many shots of Ryan with his head out the window at high speeds. At some point, one has to wonder just how much human DNA he actually has. 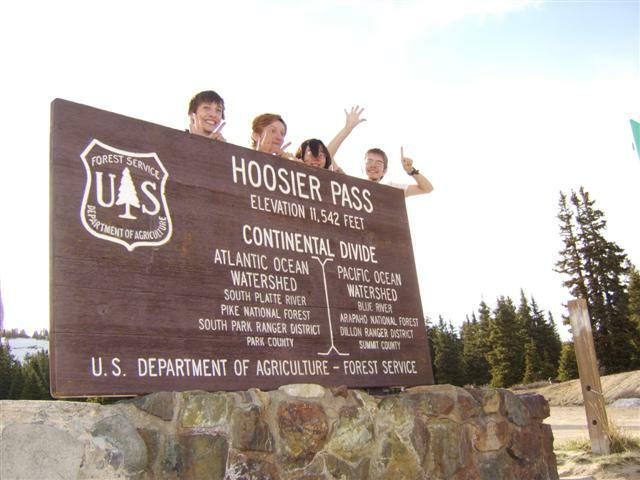 …and our sixth time, at the top of Hoosier Pass. 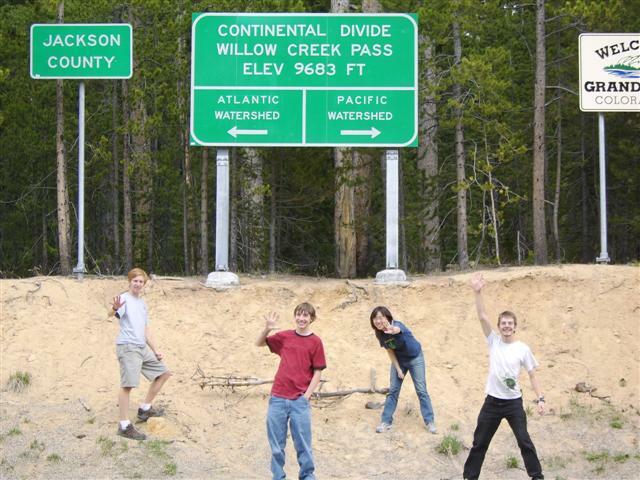 We also saw this Continental Divide sign, and came within 50 feet of it, but we turned just before crossing the line, so it doesn’t actually count. 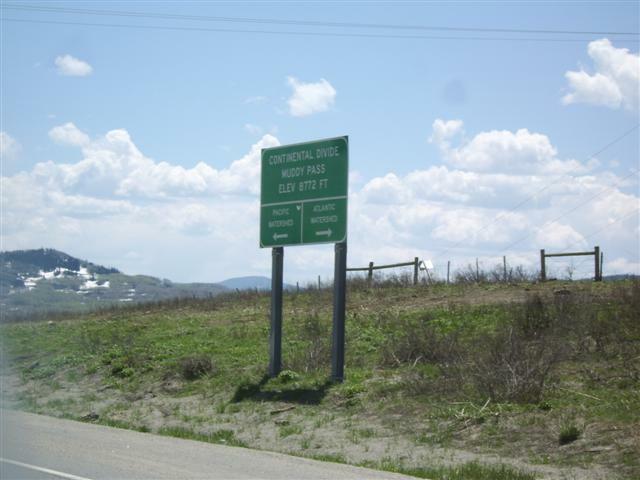 Steamboat Springs, Routt County. We’re upside down! 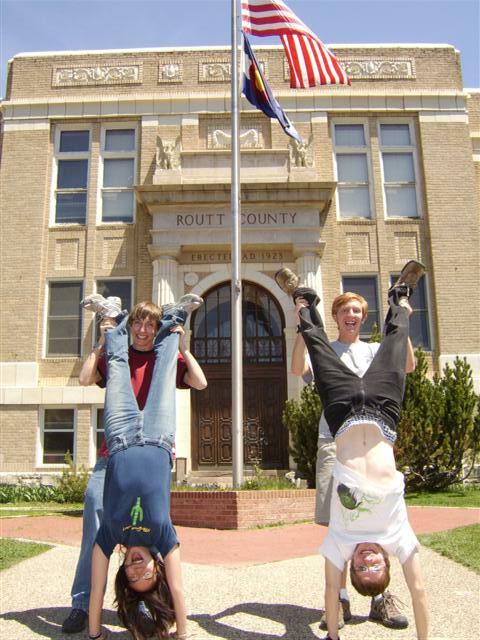 Note: we tried doing handstands, but this was the best we could manage. 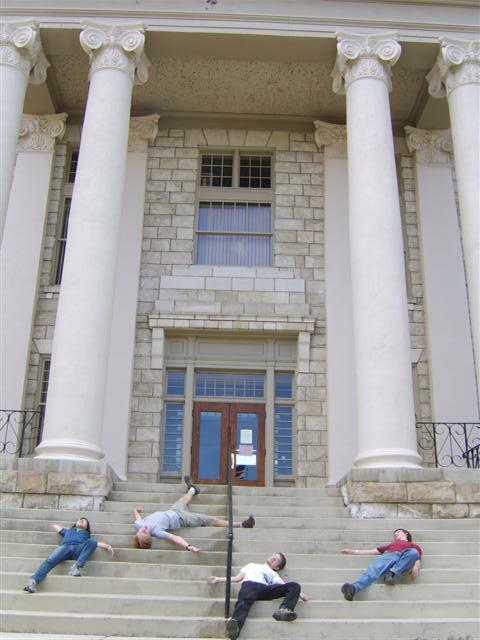 Dead on the steps in Walden, Jackson County. Hot Sulphur Springs, Grand County. 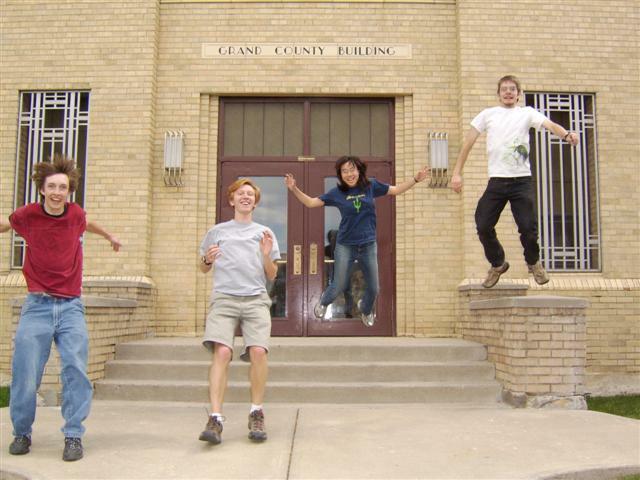 For this photo, we tried to get all of us in midair. Out of more than 20 attempts, this was the best photo we got! 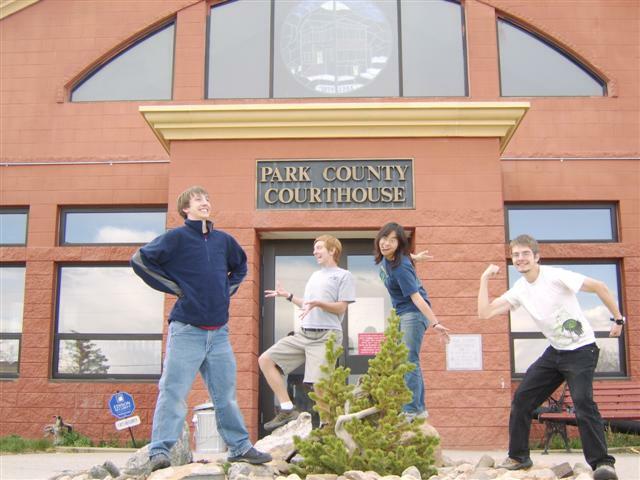 Fairplay, Park County. It was the end of the day, and we were getting a little goofy.